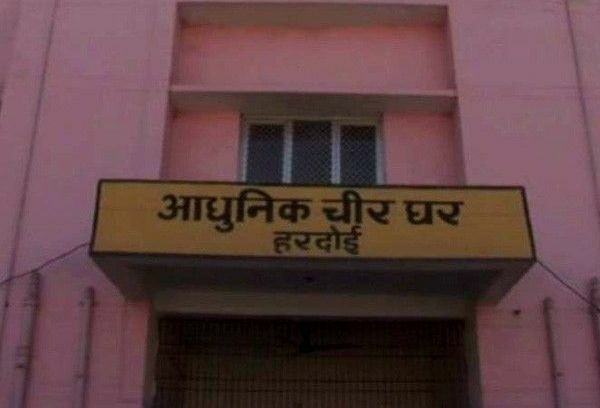 building at Uttar Pradesh's Hardoi city is being made to sleep with corpses in post-mortem house. In developing stage for the last three years, the hospital was supposed to be readied by UP State Construction and Infrastructure Development Corporation in 2016, with 100 beds, operation theatre and rooms for Chief Medical Officer (CMO), doctors and employees. However, till now, only post-mortem house has been completed and was initiated only a month ago. When Hardoi CMO P N Chaturvedi was asked about the deplorable state, he, too, confirmed that the employees had been sleeping in the post-mortem house. "The construction of the building has not been completed yet. Hence, the employees are bound to sleep like this," he said.